This is the second of three essays we are publishing looking at the lessons of legendary Welsh GP Julian Tudor Hart, who died aged 91 on 1 July 2018. Julian Tudor Hart’s reflections on the past in his writing provide an important understanding of the conflicts of the present. He shows that progress in medicine has always been closely linked to communities and to social justice, and reminds us how interlinked Beveridge’s “five giants” (the evils standing in the way of a good society) are. “Disease” (ill-health) is only effectively addressed if Squalor, Want, Idleness, and Ignorance (housing, poverty, jobs and education) are effectively addressed too. Yet the 70th birthday of the NHS was publicly celebrated, whilst social care and the other “giant evils” carried on being neglected. The advent of the welfare state meant that GPs’ work became bound up with the administration of social security. They never liked this part of their activities, despite the fact that social security, the most basic determinant of health (work, housing), is the foundation of any health improvement. Here and now, in austerity-blighted 21st century UK, the main instrument for addressing social justice – letters of support for patients to benefit administrator – remain an unpopular optional part of the primary care workload. But GPs have moved on, and now face a fresh challenge to which Tudor Hart’s thinking is also highly relevant. The original feature of Tudor Hart’s “new kind of doctor” was the application of epidemiological thinking to medical care. This goes beyond both hospital medicine and individualistic, pastoral primary care. Its key scientific element is proactive, purposeful data capture, in combination with desired end-points. 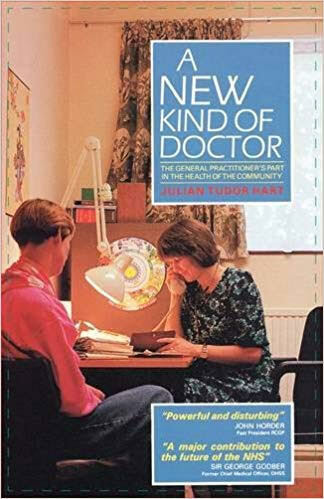 A New Kind of Doctor was published in 1988. The front cover shows a female doctor consulting a patient in a very homely consulting room. She is on the phone (a landline) and on the desk between her and the patient is a Lloyd-George-era envelope containing the patient’s health record. And no computer. A lot has happened since then. General Practice has been ahead of secondary care in moving to digital formats. The electronic patient record with its features enabling recall, medicines management, long-term condition management and appointment organisation, is based on the close relationship between clinicians and patients, enabling GPs to adapt to individual patients interventions aimed at whole populations. With the digital record Tudor-Hart’s vision of a new kind of medicine, serving communities, open to democratic influence, and created in partnership with patients, became a partial reality. The position of the patient in service planning, governance and research became more powerful. But health inequalities persist. Interactions with institutions and organisations, including health care and welfare administration (universal credit), are increasingly online, and GPs are used to computer-mediated interactions. But digital connectivity divorced from the historical reality of communities and a commitment to social justice can be dangerous. “The future of connected health” was the title of an event at Imperial College’s business school. It featured the role of big data in healthcare. Ali Parsa, the CEO of Babylon, showcased his vision of the possibilities of digital technology in healthcare. Babylon is a private company financed by venture capital, including the founders of “DeepMind”, a start-up company specialising in artificial learning technology. Babylon’s mission statement is “to put an accessible and affordable health service in the hands of every person on earth”. Babylon curates a mobile-phone-based health app and has contracts with tech-giants like Samsung and Tencent. Ali Parsa focussed on diagnostics and individual data monitoring in the context of lifestyle management: wellbeing and preventive healthcare to be achieved by building on data monitoring. He displayed the Silicon-Valley-habitus of optimistic (and nonchalant) “creative disruption”. He played with the ring on his finger, a sensor for collecting physiological data. The idea is clear: fitness-tracking or wellness-tracking. “We are able to monitor you, every symptom, every day”, he said. The cover image for this app showed a young woman in lotus-position. Is she optimising her resilience and wellbeing through integrating constant data monitoring into her decisions? I thought about Bentham’s panopticon, and Foucault’s take on it in Discipline and Punish. I thought about HAL in Stanley Kubrick’s Space Odyssey. Mr Parsa even showed us his personal “avatar”. It looked like the transparent human model in the Wellcome Collection. The organs, represented like “this is your heart age”, appeared at the click of a button. The virtual self. I could not help thinking that this can only be helpful for reassuring undamaged about how well everything is functioning. I can’t imagine a person with multimorbidity wanting to have a clear visualisation of the amount of loss, decay, degeneration or destruction going on inside them. Who wants to see a true likeness of that? Babylon’s ambitions are grandiose: “we should be allowed to serve the whole country” says Ali Parsa. “We would like to serve the deprived population of Hull”. “Don’t talk to negative people, entrepreneurship is not about money”. What is it about? Where does this disruption fit in? The big issue is the value of technological innovation for society as a whole. I do not share Ali Parsa’s vision of a full dataset generated from every multimorbid person in the community. Working in emergency care I know how often the scores derived from intensive care do not make sense in community settings. Staff calling from a residential home tell me a client’s NEWS (National Early Warning Score for sepsis, based on the monitoring of a set of vital signs), assuming that this leads automatically to a decision about treatment. It doesn’t. Burns A. NEWS 2 sepsis score is not validated in primary care. BMJ. 2018;361. Its use requires the ability to interpret data, to make ethical decisions in the realm of disability, the value of life and the qualities of life for the person and their significant others; and it requires interpersonal skills to make sense of the cultural context. Metrics provide the dominant discourse, because they easily fit into a database for algorithms. Good medical care depends on a different discourse. I can clearly see areas where big data, and immediate “data mining” could be useful, for example for patients needing multiple medications and the likelihood of adverse effects occurring from their interaction. The medical equivalent of “customers who bought this also bought xyz” from Amazon would be welcome, and could avoid having to mechanically click away the list of warnings. Fragmented systems of health and social care would benefit from well-curated up-to-date digital platforms providing information about services in the voluntary sector.Rittel HWJ, Webber MM. Dilemmas in a general theory of planning. Policy Sciences. 1973;4(2):155-69. Navigating care pathways and social prescribing would benefit from the availability of comprehensive live databases. As things are, living with multimorbidity almost requires a personal assistant to organise the burden of treatment.May C, Eton D, Boehmer K, Gallacher K, Hunt K, MacDonald S, et al. Rethinking the patient: using Burden of Treatment Theory to understand the changing dynamics of illness. BMC Health Services Research. 2014;14(1):281. I am left in two minds, with a degree of sadness. Whilst on the one hand I see the ethos of equity embodied in bureaucratic rules in the NHS, on the other hand I see creative dynamism without social conscience. In his essay on the concept of history Walter Benjamin refers to Paul Klee’s Angelus Novus: the angel of history is looking backwards whilst being catapulted into the future. 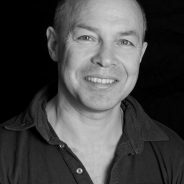 Julian Tudor-Hart provides us with a deep understanding of the historical development of social medicine. Technology is embedded in this context. The next step in technological advance in medicine is artificial intelligence. In contrast with Ali Parsa, Mustafa Suleyman, the co-founder of Deep Mind, speaking on the BBC programme “Morality in the 21st Century” , reflects on the ethics of the use of AI, and suggests careful consultations with community representatives and spiritual leaders in the process of implementing it. If it is used in support of community and social justice-focussed care it may do a great deal of good. But if it is used in a way that is either ignorant of the historical context, or ignores it, it will aggravate the social gradient – the law of inverse care – to the detriment of both disadvantaged groups and society as a whole. 2. ↑ Tudor Hart J. The Inverse Care law. The Lancet. 1971;297(7696):405-12. 4. ↑ Burns A. NEWS 2 sepsis score is not validated in primary care. BMJ. 2018;361. 5. ↑ Rittel HWJ, Webber MM. Dilemmas in a general theory of planning. Policy Sciences. 1973;4(2):155-69. 6. ↑ May C, Eton D, Boehmer K, Gallacher K, Hunt K, MacDonald S, et al. Rethinking the patient: using Burden of Treatment Theory to understand the changing dynamics of illness. BMC Health Services Research. 2014;14(1):281.